I wrote a blog a while back in which I argued that we need to require parenting classes for everyone. They should be at least as prevalent as Driver’s Ed classes. I had my first child at 30, in 1980. I was a cultured New Yorker with a post-graduate education. But I knew nothing about babies. I held a baby for the first time when I was six months pregnant. Unfortunately, my baby was born seriously premature, with a non-functioning lung. He was in the Preemie unit of the hospital for six weeks. During that time, I pumped my breasts so I could nurse him. He came home from the hospital at just under five pounds. During those six weeks in the hospital, I got to pick the brains of the well-trained and highly knowledgeable neonatal nurses. I learned a tremendous amount and came home armed with enough information and confidence to weather the first few months at home with David. In effect, I had the help and support of several Doulas. They helped me learn how to handle a tiny, underweight baby, nurse him, change him, treat diaper rash, etc. In my day, most first time mothers had to rely on relatives, friends, or other new mothers they had met in Mommy and Me classes to figure out how to handle all the issues that arise with a new baby. This can often result in contradictory or inaccurate advice, creating confusion and doubt rather than confidence. But today, new mothers with financial resources, don’t have to go it alone anymore. Enter the Postpartum Doula. Birth Doulas have been around for a long time. They are trained women who support, educate and advise pregnant women through their pregnancies and childbirth. Medicaid even covers birth Doulas in a few states in the U.S. It is generally accepted that these Doulas improve health outcomes. They lower the incidence of a cesarean as well as the surprisingly high incidence of maternal deaths in childbirth. This rate is especially high among black and brown women. Postpartum Doulas are a newer phenomenon that has caught on in Europe and elsewhere in the world. Other countries provide Birth and Postpartum Doulas as part of their national healthcare programs. Postpartum Doulas are like a Mary Poppins for new mothers and infants. They are the friend, sister, teacher, and advocate. They teach new mothers all kinds of tricks about soothing a crying baby, nursing, bathing, swaddling, etc. They calm the mother’s fears and help them deal with the anxieties of the new dads. They also help mediate with eager to help grandparents and other family members and friends who want to give unsolicited advice. They advocate for their clients to doctors and nurses. Overall, they make the new mother feel supported, confident, and in control. That prepares the new mom to deal with whatever may come up in the future after the Doula leaves the scene. My friend’s daughter just had a baby in England and she received free weekly visits from her Postpartum Doula, as well as unlimited phone calls. When there was a nursing crisis, the Doula made a house call, again free of charge. These more evolved countries understand the importance of the postpartum period in the emotional and physical well-being of both mother and baby. Postpartum Doulas are becoming more prevalent in the U.S. but they are largely unsubsidized and very expensive. The majority of women who use Postpartum Doulas are upper-middle-class women who can afford $50-$70 an hour over a period of at least six weeks. There are some low-cost Postpartum Doula collectives in the States for women who couldn’t otherwise afford a Doula. 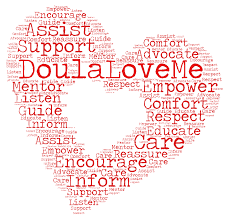 Poorer women are often the group that most needs the help of a Doula. Apparently, poor women of color can be afraid to ask for help with their babies. The fear is that a black woman might lose her baby if she admits that she is overwhelmed or exhausted. This is so sad! Every woman should be able to have access to informative and supportive professional caregivers in the first few months of their child’s life. Mothers and grandmothers can be helpful, but there is always baggage, judgment, and a need to push a particular childcare practice. These people also often focus completely on the baby and forget about the needs of the exhausted and nervous new mom. So the neutral, non-judgmental Doula is often a valued addition to the new baby’s family life. Especially since the Doula is also trained to soothe and relax the mother as well as the baby. So let’s hope that we start to catch up with Europe on this important issue, and make Postpartum Doulas affordable and accessible to everyone who wants one. Most people wax poetic when they talk about their idyllic summers at sleep-away camp when they were kids. Tennis, volleyball, waterskiing and other fun sports. Campfires, nature walks, bunk hijinks, and lasting friendships. I had none of those wonderful experiences. 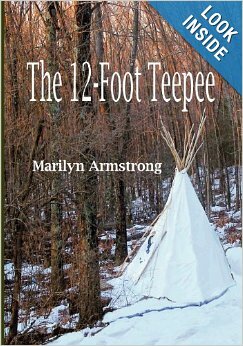 I went to sleep-away camp one summer when I was thirteen. I refused to ever go back again. I was miserable. My horrible experience was basically due to three factors. The first problem was my parents’ choice of camp. They sent me to a progressive, Montessori style arts camp called Bucks Rock Work Camp. The selling point for the camp was that there were lots of artistic opportunities but there was no schedule or requirements for the campers. Each child had to choose their own activities each day. While this format is great for self-motivated kids with intense interests and actual talents, it was a disaster for me. I had no overpowering interest except for theater. And that was an organized activity that did have a specific schedule. So most days I wandered around. I tried jewelry making, art, and pottery. I took fencing classes and a few guitar lessons. But I was pretty aimless most of the time. The second problem I had was my bunkmates. There were four of us in two sets of bunk beds. One of the other girls spent every night sneaking out the window to meet boys. The other two were best friends and overtly excluded me. It was very uncomfortable and demoralizing. I had other friends but this cast a pall over my camp life. 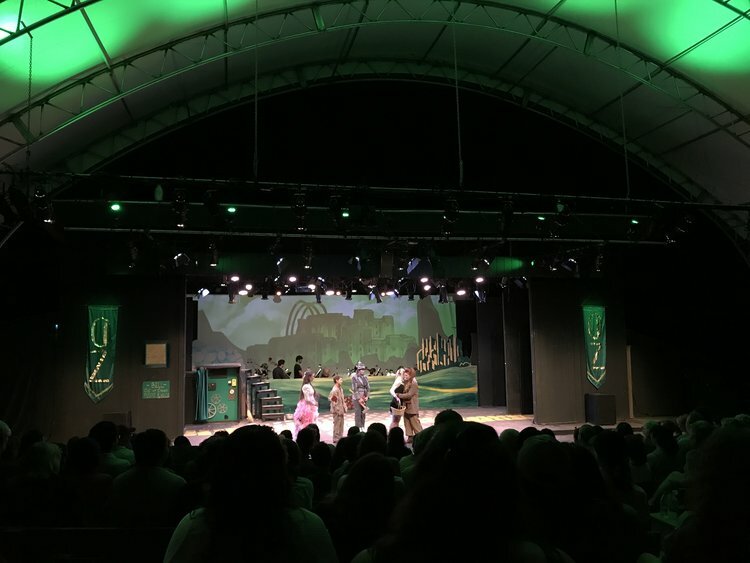 The third problem was the way the camp handled the casting of the big theatrical production of the summer. This was what I was looking forward to. This was the all-consuming activity I was waiting for. The play was “Peer Gynt”. I auditioned along with hordes of other campers. And the lead females role narrowed down to two girls, me and someone else. I didn’t get the role. This would have been fine if they had done the reasonable thing and given me a subsidiary role. I was good enough to be the lead, so you’d think they could find some other part for me. But no. I got nothing. Not even a place in the chorus. This was a horrible thing to do to any camper. Anyone who was interested and had any skills whatsoever should have been allowed to participate. But I was shut out completely. And I was devastated. A part in the play would have given me focus and purpose for the rest of the summer. Instead, I joined a small theater class. I did end up with a lead role in a scene we did from the “Madwoman of Chaillot”. (Great play choice for teenagers!) The problem here was that the counselor was the brother of a girl I grew up with. I had known him my whole life and we hated each other. We did not get along at all. So this turned out to be another unpleasant experience. The whole situation stressed me out so much, I could not memorize my lines. They were actually quite hard to remember because they were the nonsensical, non-sequiturs of an insane woman. At the performance, I skipped a page and a half of dialogue. The audience didn’t notice. In fact, I got a compliment I’ve never forgotten. An adult from the audience told me that they had been to a professional production of the play and that my performance was as good as the professional actress they had seen! I called home once a week and cried hysterically every time. My parents offered to take me home but I refused. I decided to stick it out. I didn’t want to admit to or give in to failure. Looking back, I now know that I had an anxiety/depressive disorder my whole life and I was probably spiraling into a pretty bad depression that summer. Going home might have been better for me, therapeutically. But I proved to myself that I was strong and could survive a lot. So while I had an awful summer, I learned that I’m a survivor. That lesson has gotten me through a lot in life and I’m grateful I learned it so young. To give some perspective, an American who lived in Brussels for three years, contrasts her child’s school experience in Belgium and America. In the Brussels school, the kids had 50 minutes of recess every day plus a 20-minute mid-morning break. This time was unstructured, free play with minimal teacher supervision. In the Washington, D.C. school, the kids had just 20 minutes of recess. And some American schools only provide fifteen minutes. By the time the kids get their coats on and get outside, there is almost no time left for relaxed, creative play. The American Academy of Pediatricians seem so concerned about over structured kids, they released a report emphasizing the developmental importance of free, unsupervised play for kids. It stresses that growth and discovery are more likely to occur in kids when they are not being micro-managed. The Academy went so far as to suggest that doctors write ‘prescriptions’ for playtime when they see young children during regular checkups. American parents seem to think that every moment of a child’s life needs to be purposeful and educational. The reason for this may be that parents feel very competitive about their children because of anxiety over their offspring’s economic prospects when they grow up. American parents will apparently brag about their kindergarten child’s reading prowess but be unconcerned that the same child has no clue how to play with other kids, or by herself. Of course, everyone wants their children to grow up to be motivated, purposeful, successful adults. But parents seem to have lost sight of the fact that to reach that goal, children need to play and imagine and invent activities on their own. That in itself helps kids grow and develop the skills and traits we want them to have. Not everything a child does has to directly lead to future skills or benefits. “True play is freedom from purpose,” says Katherine Marsh. And this downtime is an important part of every child’s cognitive, social and emotional development. I never thought that parenting practices could have a direct effect on the health and functionality of our democracy, yet that was the thesis of an article in the Sunday New York Times on Sept. 1, 2018. The article, by Jonathan Haidt and Greg Lukianoff, is called “How to Play Our Way To A Better Democracy” – subtitled ‘If we want saner politics, we need to start building better foundations from the playground up’. 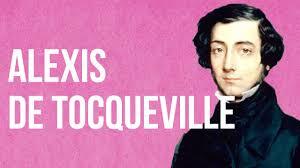 In 1831, Alexis De Tocqueville was impressed with Americans’ talent for democracy. He felt that the secret to our success was “… our ability to solve problems collectively and cooperatively.” He praised our mastery of the “art of association”, which was crucial, he believed, for a self-governing people. In recent years, we seem to have lost that ability to work together across party lines. We have lost the ability to cooperate with anyone who doesn’t share our core views and opinions. The type of play required for this beneficial brain development is referred to as ‘free play’. It’s defined as unsupervised activities, chosen by the kids and done for its own sake, not to achieve some goal. 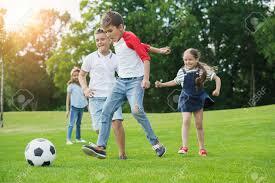 For example, guitar lessons and soccer practice do not count as free play. On the other hand, a pickup soccer game with no adults present would be considered free play. Without the adults, the kids have to practice their social skills and take risks. Starting in the 1980’s and 1990’s, children in America became increasingly more supervised during their downtime. 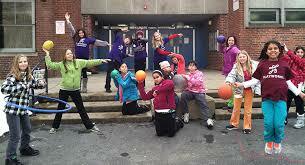 Children became more scheduled, with an increasing amount of organized after-school classes and activities. Children’s play moved indoors and involved computers, but often no other children. Even schools have reinforced this trend. They have reduced recess and free play time and are giving more homework to be done after school, from an early age. 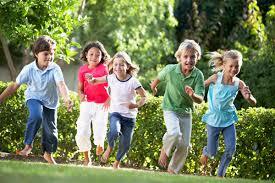 Kids have two main areas of difficulty if they are deprived of free play and adequate interactions with their peers. First, they are less resilient. This can be seen in the increased incidences of anxiety and depression in college kids. Second, they are less able to negotiate and deal with conflict management. Instead, kids learn to go to an adult to settle disputes instead of working things out on their own. 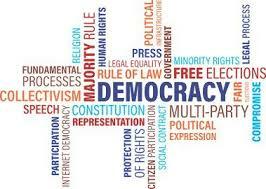 Liberal democracies rely on conversation and negotiation to resolve conflicts. But overprotected, play-deprived people tend to appeal to higher authorities to apply coercion to their opponent. Coercion is the enemy of self-governing democracies. The increase in litigation, inside and outside of the government, is a symptom of this. If this thesis is correct, our high hopes for the younger generations may be misplaced. These young adults may actually be less capable of maintaining democracy than the baby boom generation has. And right now, we’re not doing too well on that front. Let’s hope the pendulum swings back to allowing kids more free play time. Even if it’s not going to directly help our society as a whole, it will be healthier for future generations of kids. To get a driver’s license, you have to take a course and pass two tests, one written and one practical. To be a teacher, you need a master’s degree and years of specialized training, academic and on-the-job. To do the hardest, most important job on the planet — parenting — there are no requirements. None. Zip. No required preparation of any kind. No training. No test. You’re on your own. The first time I ever held a baby, I was six months pregnant with my first child. Last year I spent time with family in a house with a young mom, Jennifer, her eight-year-old daughter Jayda, and her two-year-old son Jase. I saw firsthand the tremendous advantage of training for parenthood. Jennifer had been a grade school teacher, trained in early childhood behavior and education. She is now a principal in an elementary school. She was the best parent I’ve ever seen. She had mad skills! Jennifer had clearly studied child development and the best ways to handle young kids. She stayed mellow whatever was going on, so she was able to use her knowledge. In nearly three days, I never saw her lose her temper — or even her cool. She was amazingly consistent with both children. Consistency is critical and was something I could never achieve. Every time Jase did something he wasn’t supposed to, like throwing something, he got a matter of fact, short time out. No drama, no anger. When told he needed a time out, he said “Yes, Mama” and went quietly. Jennifer knew how to distract and redirect a hyper-active and sometimes antsy toddler. Jase never reached the point of meltdown and neither did anyone else. He went down for naps and to bed without fuss because Mom was gentle but firm. She made it clear that there was no negotiation possible. She also managed to spend time with Jayda. She got the two kids to interact peacefully. There was no sibling rivalry or fights for Mom’s attention. Peace reigned for more than 48 straight hours with only a few short bouts of toddler tears. 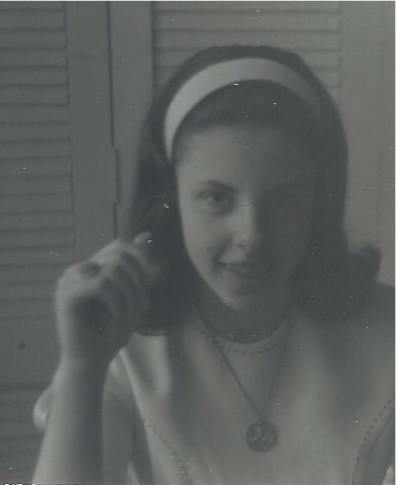 In defense of all other mothers reading this, this child was an angel with a wonderful, happy disposition. He also had other relatives around to help entertain him. But I could see in Jennifer’s actions textbook child-rearing techniques I’d read about. I believe those techniques and knowledge let Jennifer feel confident and in control. This, in turn, allowed her to stay calm and handle situations rationally and intelligently. She spread the calm to her kids. It was awesome. Humbling to watch. I was a good parent but I had an ideal in my head to which I was never able to attain. Jennifer embodied that ideal. I’m sure she has the innate temperament to be a wonderful mother. But I’m also sure she was helped by the practical tools her training gave her. They made it possible for her to reach the goal of most parents: to be the best parent we can be. We can all use all the help we can get! I have seen many plays that were interesting, but way too long. The producers had to fill out the required time for a Broadway play, whether or not they had enough good material. A lot of movies are also too long for the same reason. To me, most action movies are no more than a series of barely distinguishable scenes of violence strung together from the opening credits and beginning “premise,” to an even more spectacularly violent dénouement. As far as I’m concerned, you could cut movies of this genre in half without altering the plot (what plot?) at all. But then, you might have a 47-minute movie which no one would pay to see. I would be one of the people who didn’t pay to see it. This is particularly painful with comedies, particularly on television. Many sit-coms have a few funny bits and that’s it. The rest of the show just isn’t funny. In a perfect world, you could air an 18-minute episode because that’s all the funny material you had. You should be able to present the material that works, then call it a day. For the most part, half-hour shows are only 21 minutes after subtracting commercial breaks. Take off another one or two for coming attractions and you’re down to 19 minutes. So maybe the problem is the really bad scripts? Maybe they only feel long because they are so bad? Or maybe they are so short, there’s no time to develop a plot? I worry about this with blogs too. I have good ideas but I they don’t always add up to a whole post. So I’m simply going to present a few paragraphs from a couple of interesting articles I read recently. First, apparently, babies and young children are ‘designed,’ by evolution, to seem cute and winning to adults to ensure kids get the maximum love and attention they need to thrive and grow. Infants’ big eyes, button noses, and chubby cheeks elicit a kind of primal bonding reaction in adults. So do the sounds they make and the way they smell. It’s a visceral, chemical, and nearly universal reaction. Children start to lose those physically attractive ‘baby’ features around age two or three, so adults are hard-wired to respond equally strongly to the speech patterns of young children. The way kids perceive and say things sound funny and charming to us. Their observations about the world seem irresistibly adorable. This phenomenon has a name: “Cognitive Babyness.” Studies show that between age two and seven, a child’s cute behavior replaces their cute faces in stimulating a caregiving response. 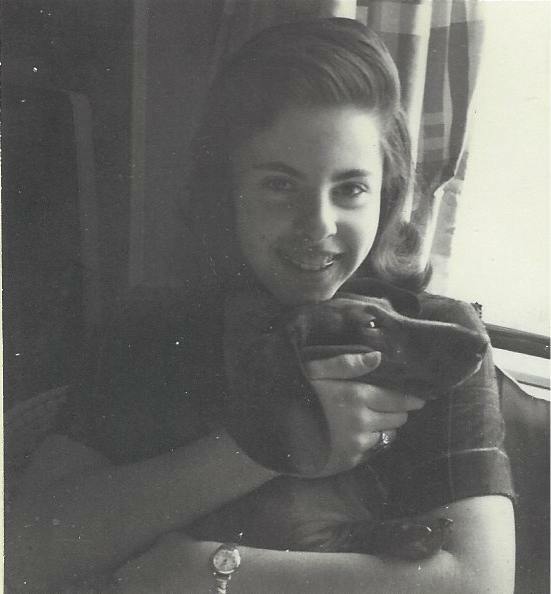 Ana McGuffey – 1946 – Mme. Alexander – Doll’s faces are intended to embody the “adorable” factor of real toddlers. So much for interesting factoids. I’ll move to my next mini topic. Recently, I’ve read articles about these kinds of programs being taught in kindergarten through high school, all around the country. They have produced outstanding results. The skills taught have reduced the symptoms in ADHD kids. 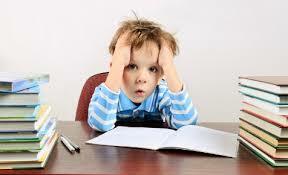 Calmed children with anxiety disorders. Helped kids with learning issues, behavior problems, and social deficits. The same studies have shown improved grades, a higher degree of empathy and kindness between kids — and an enhanced enthusiasm for school. Many schools have incorporated some form of mindfulness into the curriculum for teachers as well as students. Way to go! Good for you! Over and out! There was an article in the Sunday New York Times a while back that was titled “To Help Kids Thrive, Coach Their Parents.” It was written by Paul Tough and was an excerpt from a book he had written called “Helping Children Succeed: What Works and Why.” The article cited a long-term study that started in 1986 and has followed the subjects constantly to the present. The study proved that children who lived in poverty did substantially better than their peers, into adulthood, if one simple thing was changed in their homes during their first three years of life. If their parents received coaching from trained researchers who encouraged them to play with and stimulate their infants, for example, by reading to them, singing to them and playing peekaboo, the kids did much better. Parents were taught the importance of these face to face exchanges in creating attachment, warmth, and trust between parents and children. This, in turn, helped create a more stable, nurturing environment in the impoverished homes, which are usually plagued by stress, neglect, and instability. It’s hard to believe that some people don’t know that they should talk to and play with their infants and young children. But if no one ever did that with you when you were a child and no one later taught you how important it is, how would you know? The impact of this easy and low-cost intervention was off the charts. The study showed that the children who had the play counseling had higher IQ’s, less aggressive behavior and better self-control than the control groups. They also had better ability to focus, follow directions, interact calmly with others and cope with disappointment and frustration. In other words, they improved intellectually, socially and emotionally. All this just by receiving the kind of attention that most of us take for granted every child automatically gets. It turns out that adults can be taught to create an environment that fosters success for their children. Why isn’t this being done in every poor neighborhood in the world? Or at least in this country? This is particularly frustrating for me because my father proposed the same type of in-home interventions in the 1960’s and no one listened to him. My father was a well-known psychoanalyst, anthropologist, and sociologist who stressed the importance of the first 3 years of life. He also did a study that showed how little stimulation and affection a large number of black children living in poverty in Harlem, New York, in the 1950’s were receiving from their parents. He suggested doing exactly what the 1986 study did – send in trained professionals to teach the parents how to give their children the kind of nurturing they needed to thrive. Guess who shot my father’s idea down? The “liberals” of the day and the radical Black Panther movement. They said it was racist to assume that black people didn’t know how to be good parents. It was also considered paternalistic and condescending to send (often white) people into black homes to “tell them” how to deal with their own children. My father backed away from the conflict that surrounded his proposal. Now, 50 years later, the idea is being proposed again. Think of all the kids who could have benefited in all these years! With so much poverty, even just in this country, you’d think this article would have been front page news. You’d think that politicians, as well as educators and mental health professionals, would be jumping on the bandwagon and yelling from the rooftops. You’d hope that large numbers of “family counselors” would be amassing to go in and make a huge difference in the lives of millions of children. I haven’t heard anything yet. But I’m still waiting and hoping.